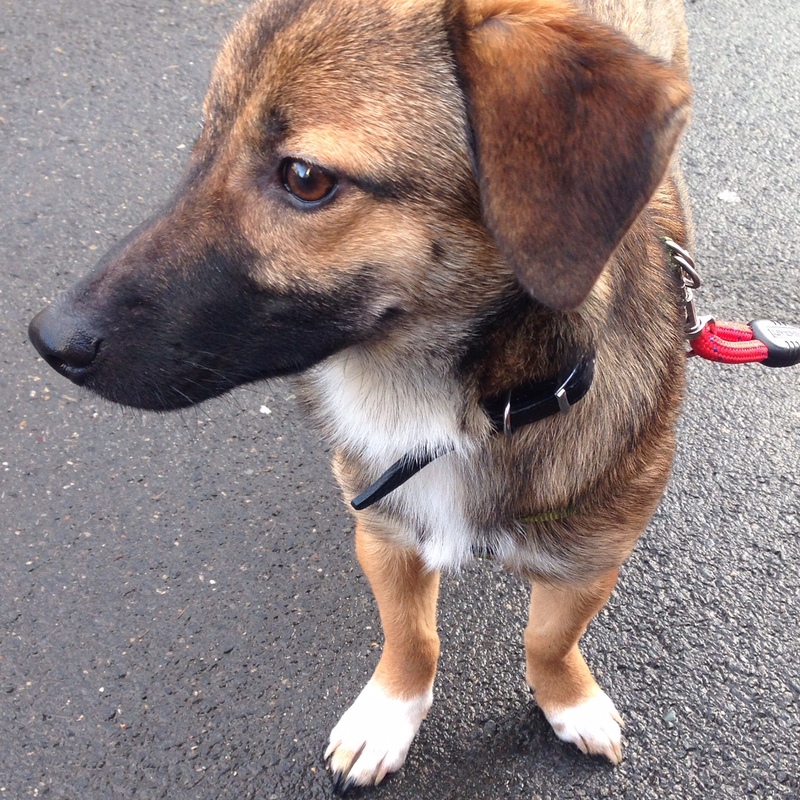 Lola was rescued from Romania with her mum and sister when she was about 3 months old,. Lola has an infection in her eye and so it had to be removed when she was small. She was fostered near us in Whitley bay for about 3 months and I saw her photo on a Facebook group and followed her story of trying to find a home. Her sister found a forever home but there didn't seem to be as much interest in Lola. We had been thinking about a second dog for a while and so after family discussions we enquired about Lola and went out to meet her. Lola has been an amazing addition to the family, she has made a huge difference to our first dog as he no longer suffers with separation anxiety now he has company. Lola loves to be out in the garden, she will bounce around happily for ages outside, chasing birds and digging holes. Lola was a fairly independent dog at first and would settle away from us, but now she's developed into the cuddliest dog and will demand a belly rub, nudging you with her long nose if she doesn't think she has had a sufficient belly rub! She likes to be comfy and is happiest sleeping on a pile of cushions or on the big bed upstairs, she even does a little bedtime dance, thrashing her tail wildly and padding from foot to foot in the living room...as soon as you open that door she races up the stairs and leaps on the bed. She was fairly nervous for a while with other dogs and humans but now has her own doggy pals she's met on walks and will even go up to greet humans in hope of a petting, it has been lovely to see her confidence develop. 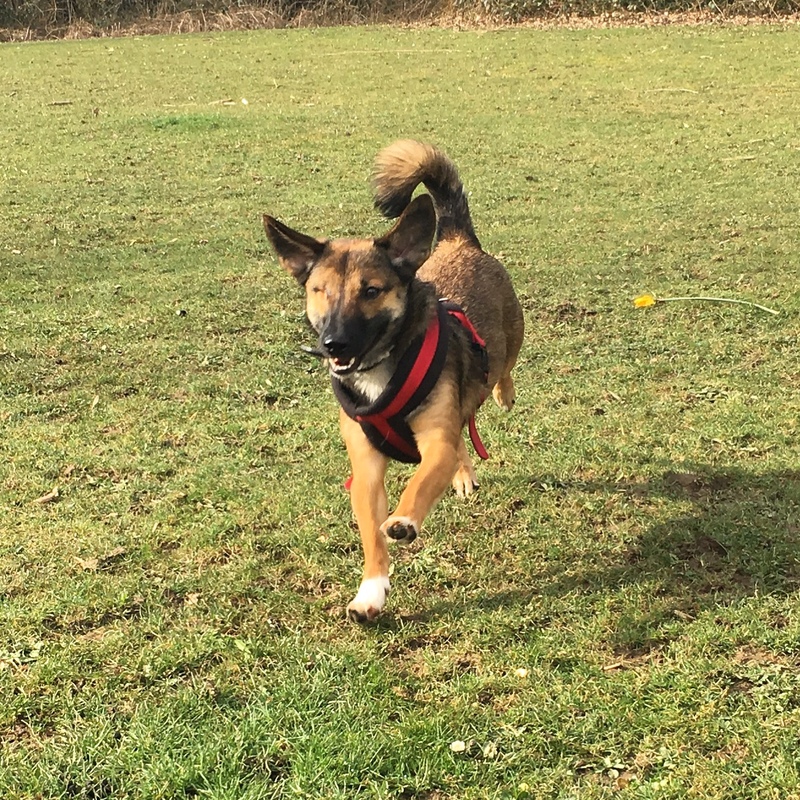 Lola has also learnt to enjoy playing with her toys over the last year, she enjoys a bit of tug of war and has some favourites that she will curl up with and snuggle. Lola is such a happy dog, regardless of if you've been away from her for 5 minutes or 8 hours she will always bounce up to you, wiggling her bottom and wagging her tail around. She has a little 'welcome home' dance for you, getting up on her hind legs and desperate to give you a lick. She's a little scamp at times and has an unhealthy desire to eat tubs of Lurpack, but she's still young and she makes us laugh every single day. We couldn't imagine not having Lola in our lives now.